The Thursday Interview: Alisha Cole. 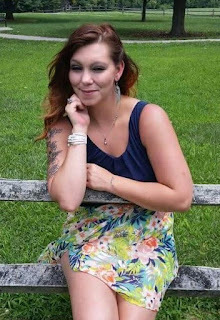 Today, I'd like to welcome Alisha Cole, author of “My Beautiful Nightmare” to The Thursday Interview. Before we get started, a quick intro! Alisha Cole is a twenty six year old romance author. She released her debut book in September 2015 called; My Beautiful Nightmare. She has lived in Smyrna Delaware for the past six years with her twin sons and fiancé. Alisha enjoys reading, dancing, spending time with her family, and spending endless nights writing, to bring her fans more stories. If she's not writing or reading, you can find her on Facebook, where she connects with her readers most. 1. Would you break the law to save a loved one? I would definitely break the law to save a loved one. For instance, if I didn’t have my children in my lives, my whole ambition, character, and happiness would disappear. Once you lose someone you love, you lose yourself. If one of my children were in danger, I would break whatever law I have to, to keep them safe. The same thing goes for my family, my friends, and even my animals. When I love, I love hard. If you are only functioning in life the same way every day, by getting up, going to work, coming home, eating, and sleeping. You’re not living life to the fullest. You’re alive, but you’re not pursuing your dreams, succeeding, or even worrying about your happiness. A person can go through life doing the same routine day after day, and not realize they have become a vegetable planted in the Earth’s soil. So to truly live, you take chances. You work hard for your happiness, you laugh, and smile. That’s the difference between being alive and truly living in my eyes. My personal assistant Annie, is my biggest motivation or should I say motivator. She is always in my inbox in the mornings, talking me up, and telling me I can do it. I love to write and bring people stories, but when writer’s block hits; I struggle. She brings me out of that. She believes in me more than I do myself sometimes, and I write for her. It’s easier to focus and put out more books when you have that one super fan that believes in you. I don’t know about all humans, but I know why I wanted them. Everyone wants to be loved unconditionally, whether they admit or not; they do. That’s what a child is capable of. A soon as you find out the news you’re going to have a baby, you feel loved, and have a connection with the little spawn you created. When your child is born, it’s the sweetest, and one of the most moving experience you’ll ever have in life. You live, fight, and struggle through life for them to have it better than you ever did. It gives you something to live for, that’s why I think humans want children. 5. What was the biggest challenge in creating your book My Beautiful Nightmare ? The biggest challenge…Hmmm. I would say doubt. I always worry about what people will think, if I take too long to write, and if I’m going to be successful. The book world is full of amazing and talented authors, and it is intimidating as hell to stand beside them. Besides that, finding an editor who had the real skills to edit my book was hard, and I went through a few before finding a really good one. The biggest challenge with the writing process, was making sure to capture the emotion in my story that everyone could feel. I’ve learned that not everyone is going to support you. Whether it be writing, or any other thoughts or dreams you have, some people just won’t ever care. You can bend over backwards supporting others and they could careless to return it. I learned later on that you shouldn’t cross a river for someone, who wouldn’t cross a puddle for you. Another big lesson I learned was always trust your gut, and listen to what your mom says. 7. How did you come up with the book title My Beautiful Nightmare ? Coming up with the book title is kind of hard to explain, but let me try. In my book the main character goes through some pretty tragic events. She lives through them, but also relives them over and over again in her nightmares. I don’t want to give too much away, but her beautiful nightmare is a man, and in second book in the series you learn more about why. So I picked the title while writing about this beautiful man who helps her cope, but it’s possible that he is the worst nightmare yet. Make sense? I hope so. I take it in stride. If something is picked apart, I go in and fix it. Whether it be my books, my looks, or my answers. I like to fix them and learn from it. Does it hurt? Yes. Who likes being criticized? I know I don’t. Everyone’s going to judge your work, you as a person, and that’s just society. If you’re not being criticized, you’re probably doing nothing with your life. Celebrities, authors, musicians they are all criticized, you just have to know the difference between a troll and someone actually trying to help you. 9. Why should people buy your book? I have a good story to tell. I believe that with every book I write, they become better. I gain confidence and with that I feel confident enough to say that my books are great. Once they read the first book, they’ll want to know more about characters, the plot twists, and how the story will end. Plus they entire series is only .99 cents, so you don’t have anything to lose. Why? Because I want everyone to be able to afford to read them, and listen to what my characters have to say. They are emotional, suspenseful, and thrilling. I want everyone to take a chance and try a new author, watch me grow, and become a fan. There’s always something. When you feel like you have nothing, there’s always the tiny bit of hope of something there to make you believe. There’s something about life and the story you write as you live it. Nothing comes from something. Without something there is nothing. Ha- I have a million different thoughts about this question, because it’s an opinion, and a very tricky statement. It’s like asking if the glass is half empty or half full. Everything in life is something. Nothing in life is something. If you didn’t understand that’s because something (this answer) is better than nothing. They say the first step to recovery is admitting you have a problem. But when the problem is buried deep inside and the world seems like it's against you, what do you do? Laney Harper is a talented piano player, who chooses to follow her dream over her parents wishes of going to law school. It sparks a rebellion in her when she heads off to college where she meets Jake Thomas, local rock star. Five years later Laney comes home to her rocker boyfriend, but what's waiting for her is not what she expected. Finally standing up for herself, may be the worst mistake she has ever made and leads to dangerous consequences. The horror she endures sends her to a therapist Dr. James Hardy. What Laney doesn't realize is he makes her forget about the demons that haunt her, while hiding a few of his own. As Laney struggles to get her life back on track, a chain of events is set off and she realizes she has walked into a beautiful nightmare.